Dr. Abdallah Muhammad al Muhaysini, as pictured on his Twitter feed. 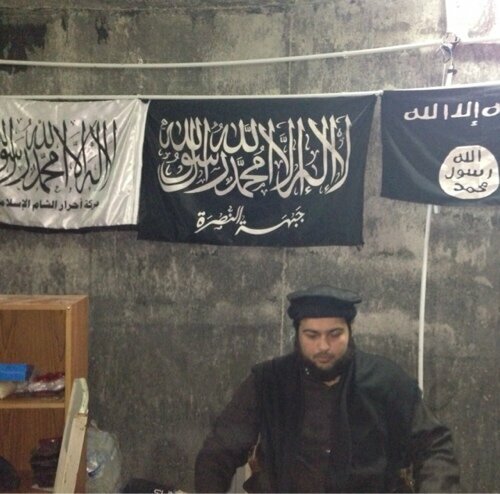 Banners commonly used by al Qaeda-affiliated groups are on the wall behind him. Al Muhaysini’s messages have been released on his official Twitter feed and YouTube page. As of this writing, his Twitter page has more than 240,000 followers, while his videos posted on YouTube regularly receive thousands of views. Al Muhaysini’s Facebook page has received more than 30,000 likes. Another Twitter feed established by al Muhaysini (@us_4_all) is billed as the best place for news about Syria and currently has more than 224,000 followers. Al Muhaysini announced his relocation to Syria in early October. The Saudi cleric claimed he was banned from traveling abroad, but made the trip anyway. Upon his arrival in the Levant, al Muhaysini sought to play a conciliatory role. 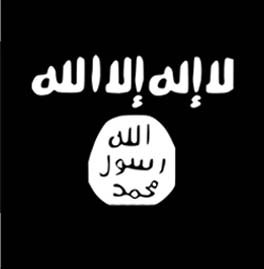 The Islamic State of Iraq and the Sham, or Levant (ISIS), one of two official al Qaeda branches in Syria, has quarreled with other jihadist groups, including the Al Nusrah Front (the other formal al Qaeda branch) and Ahrar al Sham, which is a leading member in the new Islamic Front. These groups frequently coordinate their operations, but ISIS has often proven to be a problematic partner. The disagreements have even boiled over into occasional skirmishes. Al Muhaysini swiftly proposed that a common sharia court be established, with each of the leading jihadist groups contributing two judges. The court would adjudicate disputes between its members. Al Muhaysini even said that the new court’s rulings should be made public such that Muslims worldwide could read the decisions for themselves. 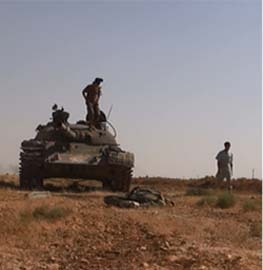 According to some accounts on Twitter, the Al Nusrah Front and other Syrian jihadist groups endorsed the idea. ISIS reportedly did not. Some online ISIS supporters criticized Al Muhaysini’s attempt at reconciliation, forcing the Saudi to defend himself on Twitter. 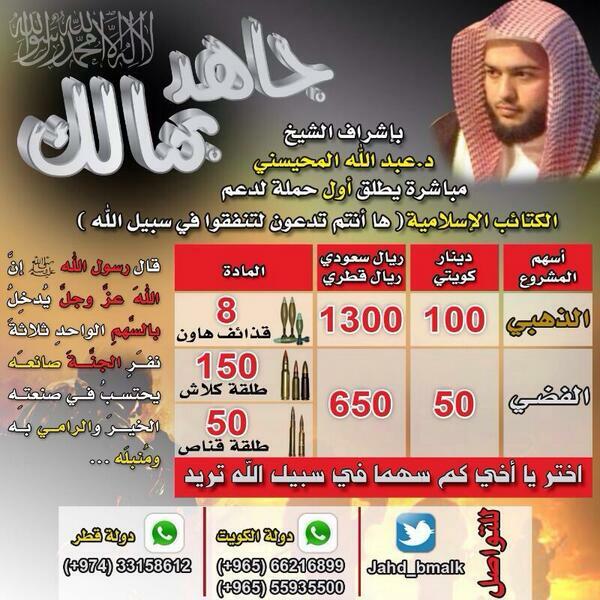 On Oct. 26, al Muhaysini announced a new fundraising campaign to finance the jihad in Syria. 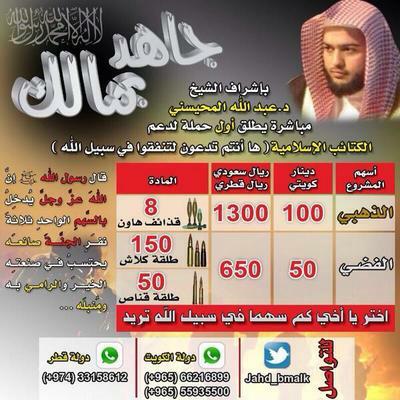 A banner for the campaign, titled “Wage jihad with your money,” was circulated on jihadist websites and on Twitter. The banner can be seen above. Three telephone numbers are listed at the bottom of the banner. One of the numbers listed is for a line in Qatar, while the other two are telephone numbers in Kuwait. A separate Twitter feed devoted to the fundraising campaign is also listed on the banner. The banner lists various of levels of support, depending on the amount contributed by individual donors. 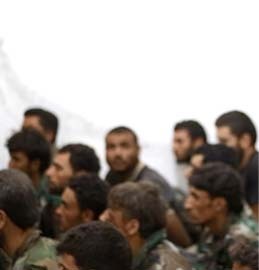 An al Qaeda leader far removed from Syria’s battlefields endorsed al Muhaysini’s efforts. On Nov. 1, Sheikh Abu Yahya al Shinqiti, who serves on al Qaeda in the Islamic Maghreb’s sharia committee, released a statement concerning the jihad in Syria. 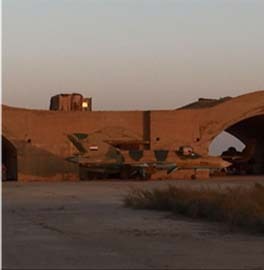 Al Shinqiti warned the mujahideen to avoid infighting, saying they should be “wary of disputes and division.” Al Shinqiti also took note of the role played by social media, saying that “rumors” circulated online can serve to exaggerate the differences between various factions. The AQIM official also singled out al Muhaysini for praise. Al Shinqiti expressed his “gratitude” for al Muhaysini’s fundraising activities, as well as the Saudi’s attempt to established a unified Islamic court for settling the jihadists’ differences. Al Shinqiti asked Allah to make al Muhaysini successful. In late November, al Muhaysini released a video on YouTube in which he comments on the formation of the new Islamic Front. After reviewing the group’s charter, al Muhaysini blessed the new coalition, saying it offered a “clear” statement on proper governance under sharia law. Al Muhaysini praised the charter for rejecting democracy and subservience to any foreign parties. But al Muhaysini also cautioned that his endorsement was conditional upon the Islamic Front’s willingness “to bring together your brothers who have not joined” the group. He noted that “there are large groups still outside the coalition,” including ISIS, Al Nusrah, and several other brigades. If all of these groups cannot unify their efforts, al Muhaysini said, then they should still recognize there is “enough room in this arena of jihad for all of us” and they should continue to coordinate their efforts without antagonism. Al Muhaysini added that Sheikh Osama bin Laden and Mullah Omar serve as good examples for the Islamic Front’s efforts because they were the “vanguards” who integrated the Taliban and al Qaeda in the face of global opposition. Despite the other jihadist groups’ ongoing disputes with ISIS, al Muhaysini has continued to play the role of mediator. On Dec. 3, al Muhaysini commented on reports that two members of ISIS had been killed at a Free Syrian Army checkpoint. Al Muhaysini said the two were “heroes” and asked Allah to accept them as “martyrs.” The cleric praised these ISIS members despite the criticism he has received from the group. He also used the incident to remind all mujahideen that the spilling of Muslim blood is impermissible and that Muslims must work together on the battlefields of Syria. According to his own posts, al Muhaysini’s efforts are not confined to the digital world. The Saudi claims to have set up a guesthouse that regularly receives new jihadist recruits. 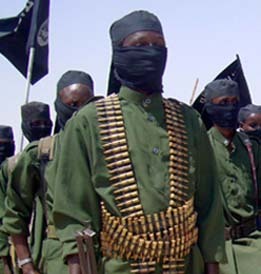 Eager new jihadists contact him daily, al Muhaysini has said. 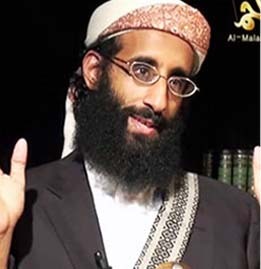 Given his substantial online presence, it does not appear that al Muhaysini is exaggerating. Note: This article is based on al Muhaysini’s numerous tweets and videos on YouTube. Proof no#1,000,026 that Saudi Arabia is the largest State sponsor of terrorism in our planet. What do they teach about religious tolerance in Saudi? The Saudis are no friends of the West. Bill-Are you aware of certain Saudi clans that are full of AlQ fighters? We went to war to free Kuwait in 1990, just for them to turn around and host a Telephone number for AQ?